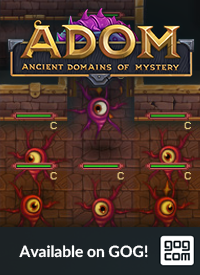 The Official Blog for ADOM (Ancient Domains Of Mystery): Desperate bug hunt in ADOM 2.3.1 - we slaughtered the bug! 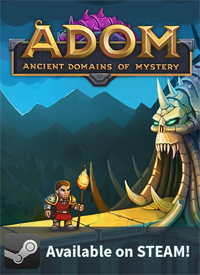 Desperate bug hunt in ADOM 2.3.1 - we slaughtered the bug! It does not make any sense to release 2.3.2 before we have fixed this bug. Sadly we fail to reliably reproduce it. It happens every once in a while but so far we have not found the actions required to get it reliably - which prevents us from understanding and fixing it. 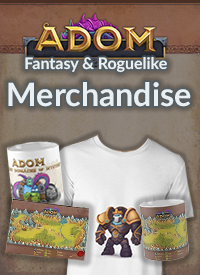 The first person who manages to produce a save file that allows us to reliably reproduce this bug will receive a free copy of the ADOM Lite RPG with a special dedication. I do have a few surplus copies so I feel that I could give away one of those. Please try to create a save file that (preferrably within the next action) allows us to reproduce the bug described above. It seems to happen when you pick up / drop items in a shop. The Terinyo food shop works perfectly for that - we just have no idea how to get this bug. It just happens sometimes and everything else is unclear to us.